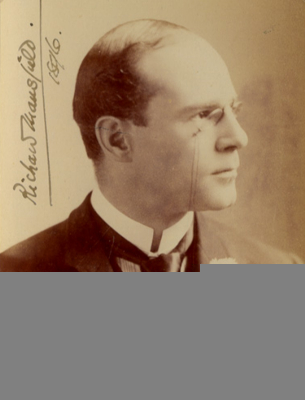 Mansfield, Richard (1857-1907) Famous, but controversial American actor-producer of the late 19th century. He was born in Helgoland, Germany, (an island in the North Sea, then under Brisitsh sovereignty) into a family that excelled in the performing arts. His mother was the prima donna Hermine Rudersdorff (1822-1882), and his grandfather, the violinist Joseph Rudersdorff (1788-1866). His father, Maurice Mansfield, was a London businessman. Richard was educated in Derby, England, and studied painting in London. He traveled to American with his mother in 1872 when he was fifteen, where he appeared in amateur theatricals before returning to London at age twenty where his work an artist would not support him. He was more successful as a drawing-room entertainer, and eventually drifted into acting where he toured the provinces in Gilbert and Sullivan with the D’Oyly Carte Opera. 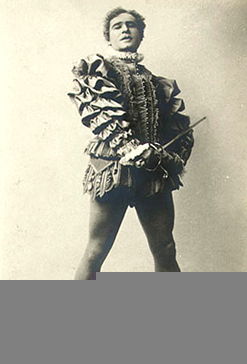 Following the death of his mother in Boston, he returned to America in 1882 and made his professional New York debut singing the part of Dromez in the D’Oyly Carte production of Bucallossi’s comic opera Les Manteaux Noirs (September-October 1882). This was followed by an appearance as Nick Vedder and Jan Vedder in Planquette’s Rip Van Winkle (October-November 1882), another Carte production at the Standard Theatre. Mansfield then went to Philadelphia where he was set to appear as the Lord Chancellor with Care’s Second American Iolanthe Company. He became violently ill a few days before the scheduled opening, however, and was forced to abandon the role to W.H. Seymore. When he recovered he was loaned to anther Company, appearing in Baltimore as the Lord Chancellor on December 18, 1882. Two days later, however, he suffered a disabling ankle sprain and had to leave the cast. 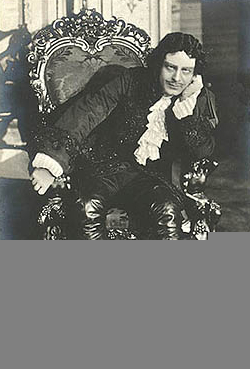 He first won recognition a year later in New York when he assumed the role of Baron Chevrial, the sensual brutal roué, in A. M. Palmer’s production of A Parisian Romance at the Union Square Theatre. Much to his chagrin, several seasons passed before he enjoyed another hit. In the interim he would return to Gilbert and Sullivan and the D’Oyly Carte Opera Company one more time, however, appearing with the Carte’s Second American Mikado Company in Boston as Ko-Ko, from January to March 1886. Mansfield had been called upon when John Howson abruptly left the cast following a dispute with management over his interpretation of the role. More lasting success came when he began a career as a star and producer. As theatrical manger he produced himself in New York and Boston as the impecunious nobleman who marries for money, only to learn his wife’s fortune is really his, the title part in Prince Karl, as well as A Parisian Romance (1886). This was followed by his widely popular adaptation of Robert Lewis Stevenson’s Dr. Jekyll and Mr. Hyde (1887), where he appeared with great success both in New York and London. Each year as producer, Mansfield would arrange to occupy theatres in New York and on the road to present a repertory consisting of one or two new characters and revivals of his more successful previous vehicles. 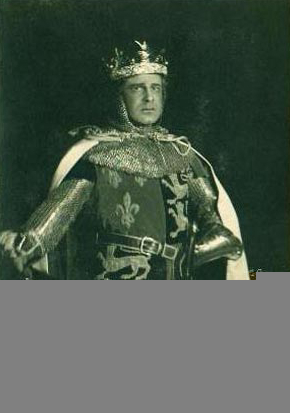 In 1889, he offered his Richard III in London at the Lyceum under Henry Irving’s management. But it was back in America where he achieved his greatest success. 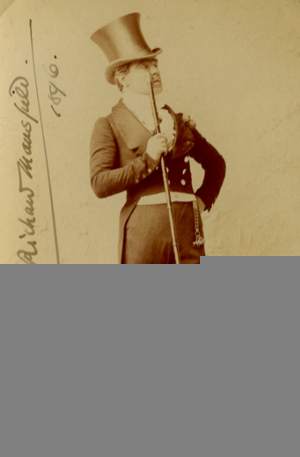 In 1890, he starred in Beau Brummel, a role created especially for him by Clyde Fitch. A string of failures ensued. In 1892, Mansfield married Susan Hegeman, who had appeared with his company under her stage name, Beatrice Cameron. Her outstanding portrayals were Portia in The Merchant of Venice and Nora in A Doll’s House (the first U.S. production). Realizing the changing nature of his theatre, Mansfield turned to George Bernard Shaw, who had never been professionally produced in America, and offered himself as Bluntschili in Arms and the Man (1894). However the effort failed, and he was forced to resort to revivals of his former successes. He had better luck when he mounted The Devil’s Desciple (1897). One of his biggest triumphs was in the title role of Cyrano de Bergerac (1898). 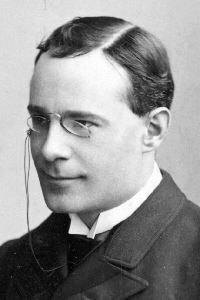 In 1903, he first played Prince Karl Heinrich, who must abandon his beloved beer garden waitress, Kathie, for the call of duty, in Old Heidelberg. The remained of his career interspersed revivals of his most popular roles with failed attempts in new vehicles. 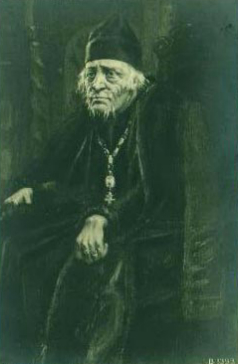 Shortly before his death in 1907 from liver cancer, however, he defied the wrath of conservative critics by appearing in the title role of Peer Gynt. He was an extremely short man with a pale square-cut face and thinning brown hair, who was sensitive about his appearance. Many critics and playgoers admired his work as an exemplar of a passing romantic school, but other strongly dissented. He was generally detested by his fellow actors because of his arrogance, short temper, and treachery. With the appearance of the Theatrical Syndicate or Trust he professed to join the other stars of his era in fighting the monopoly, only to quickly sign on with it. He also promised Edward Harrigan, when he leased Harrigan’s Theatre, to retain the name, then immediately renamed it the Garrick. His vanity was such that shortly before his death, he commissioned William Winter to write a monumental biography of him. The work was issued in two volumes in 1910 as The Life and Art of Richard Mansfield. After his death in 1907, Mansfield’s wife Beatrice spent a number of years trying to make contact with him through psychic mediums. Mansfield’s only son, George Gibbs Mansfiled (1898-1918), died before his twentieth birthday in an army training camp. Sometime after his father death, he assumed the name Richard Mansfield II.